Germany drops F-35 from the tender to replace Tornado fleet. Several media have recently announced that Germany has eliminated the F-35 from the competition to replace the Tornado fleet. According to sources from the German defense ministry, the nation will opt for the Eurofighter or the Boeing Super Hornet. However, the news is not surprising because already in 2017 the German MoD had declared its intention to look at an all-eurofighter-fleet to rationalize the fleet and reduce costs. This option would be similar to the one France is doing with the Rafale and would explain the reason why Germany abandoned the F-35. Paris and Berlin have in fact the project to develop together a new next-generation aircraft to replace Rafale and Eurofighter fleets that boasts the same and superior capabilities of Lockheed Martin's modern stealth aircraft. The agreement between the two nations for the development of the new aircraft is expected shortly. The project that Germany is planning for the future can not include the F-35 in order not to risk the deal with France and not to increase defense spending. 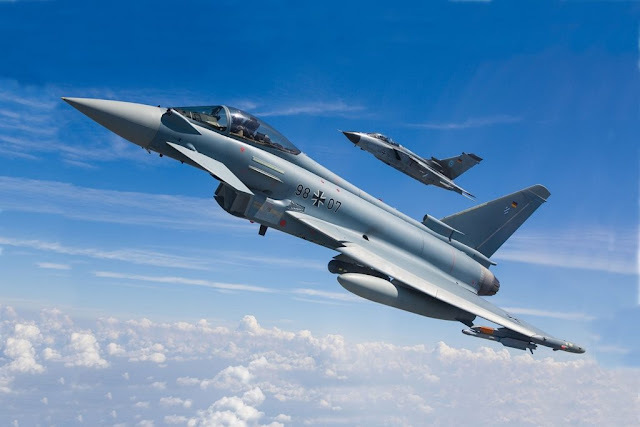 Most likely Germany will select the Eurofighter because it is the most natural way considering that the nation has already qualified the aircraft for air-to-ground role. Furthermore, Germany needs to maintain the current Tornado's ability to carry B61 nuclear bombs and none of the two aircraft selected for the competition is certified for this type of weapon. Both platforms will have to receive a system update and this does not help the Super Hornet.